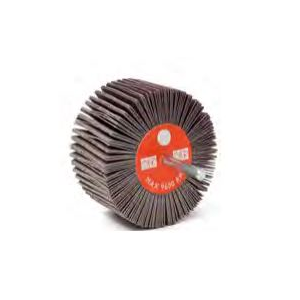 Abrasive flap wheels with spindle are available in a wide range of specifications, sizes and shapes. Available in abrasive cloth characterized by different types of abrasive and support. They are used for roughing, grinding and finishing of steel, stainless steel, nonferrous metals and other materials; on portable machines with flexible shaft and fixed. Cta Calflex catalogue presents a wide range of products, but other grits, sizes and related information are available on request. A/O semi-flexible abrasive flap wheels are used for grinding and finishing of metal and nonferrous metal smooth or shaped pieces. These flap wheels are available in lots of grits and sizes, with 3mm, 6mm or longer spindle. Like the flap wheels with spindle the Trizact™ ones are perfect for the usage with portable sanding machines, for metal grinding operations. 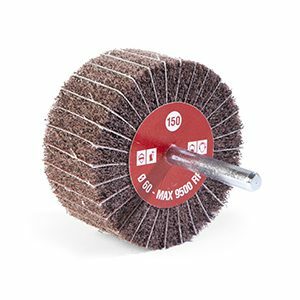 FLEXIBRUSH® BRUSHES Consist of scored interleaved radial abrasive cloth discs in X weight and are mainly used to reach rustic or antique finish, for wood sanding and for varnishes sanding. 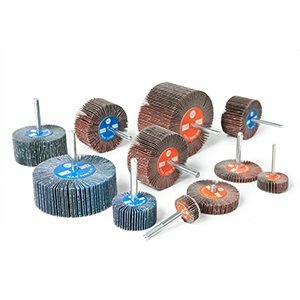 Non-woven abrasive flap wheels are used on electrical, pneumatic and flexible shaft portable machines tools for work on small surfaces. 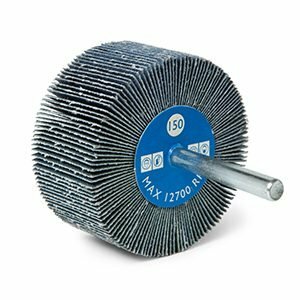 These wheels have a lower removal capacity and are particularly indicated for satin finishing and grinding of metal surfaces. 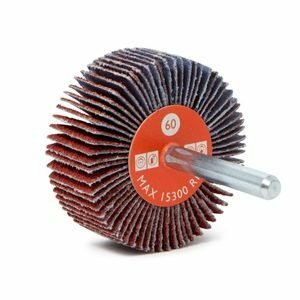 Interleaved abrasive flap wheels have an high finishing/removal capacity ratio and can be used to remove small signs on surfaces. 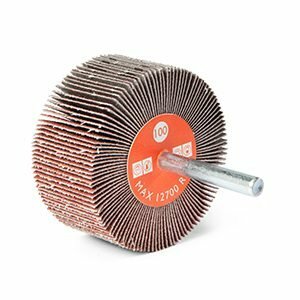 Ceramic abrasive flap wheels are used for heavy removal when a low temperature is necessary. These wheels are suitable for very resistant materials like stainless steel al metal alloys. These flap wheels are available in lots of grits and sizes, with 3mm, 6mm or longer spindle. 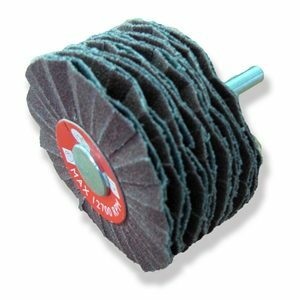 Zirconia semi-flexible abrasive flap wheels are perfect for the heavier operations on stainless steel and hard alloys. These flap wheels are available in lots of grits and sizes, with 3mm, 6mm or longer spindle.